Key West and the Florida Keys are rich in family attractions to satisfy the taste of young children, parents and grandparents alike. Beautiful tropical foliage, gorgeous waters, and white sandy kid friendly beaches are only the beginning when exploring this marvelous landscape of tropical islands. The Florida Keys boast a large variety of family oriented things to see and do during your visit. The emphasis on historical preservation makes it possible for Florida Keys family visitors to step back in time to some of the most poignant, ambitious, and captivating moments in Florida History. During your vacation with your family, be sure to stop by the historical sites, museums, and parks that are located throughout the Keys. Explore the wonders of Florida Keys nature and ecology through the eyes of a child by visiting the numerous parks and beaches. Whether your familyâ€™s interests lie under the water or on the land, you are bound to be amazed by all the diverse nature there is to view. If you wish to interact with nature without the hassle of sunscreen and bug spray, The Florida Keys has a number of indoor aquariums that provide visitors with a kid friendly front row view of the beautiful underwater sea creatures that inhabit the waters surrounding the islands ... and beyond. 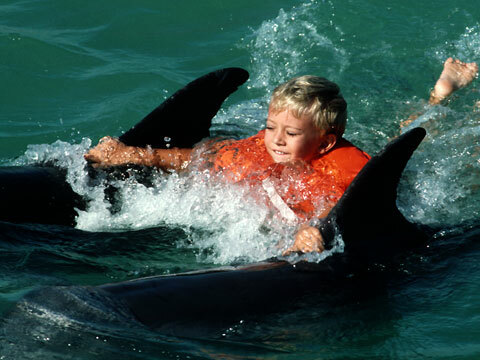 From child oriented dolphin encounters to pirate museums to skydiving for teens, Key West and the Florida Keys offer family attractions that are certain to make your next familyâ€™s vacation a blast for everyone. Take advantage of all of the great family vacation opportunities that the Florida Keys and Key West has to offer and make family memories that will last forever.